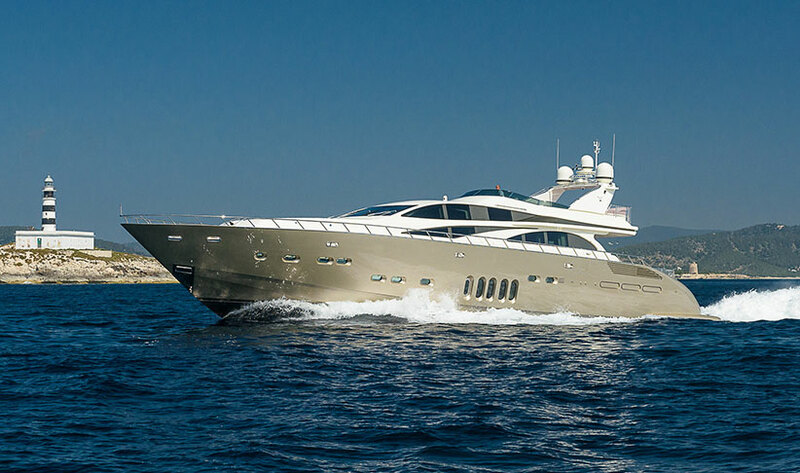 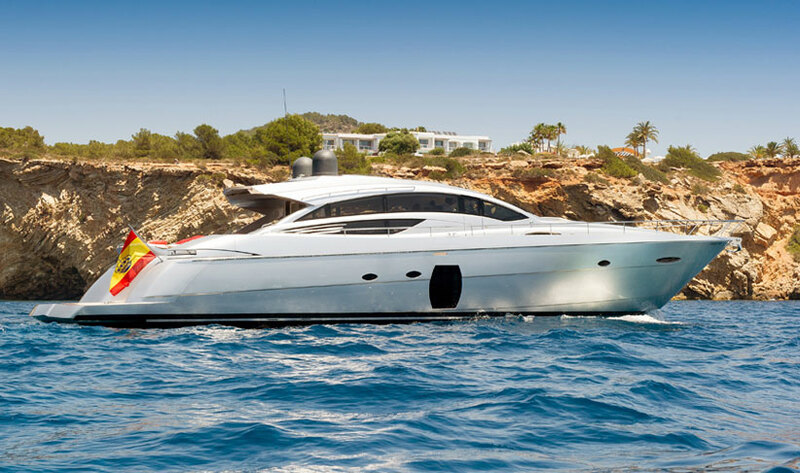 Built in 2008 this Pershing is 72 feet of luxurious motor yacht with beautiful, spacious interiors. 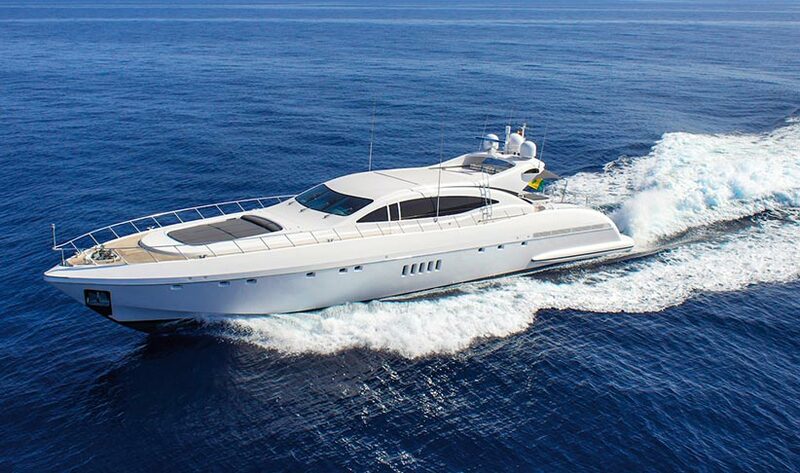 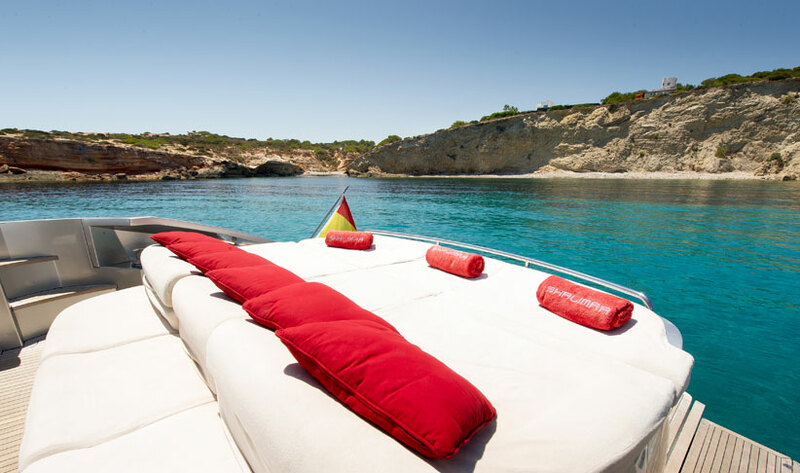 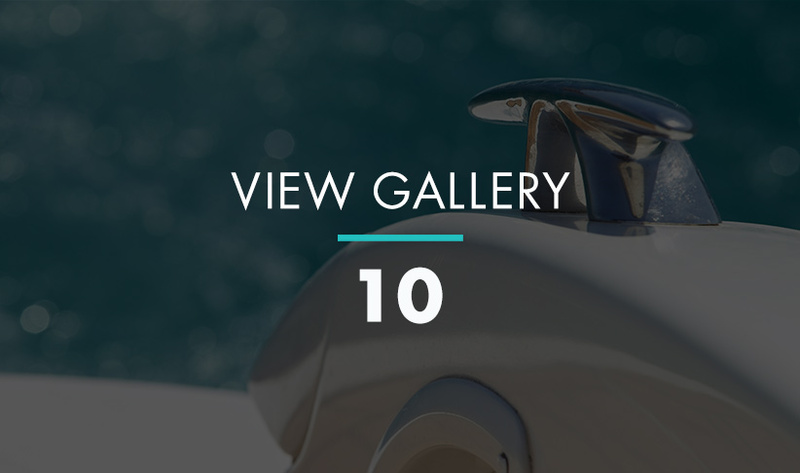 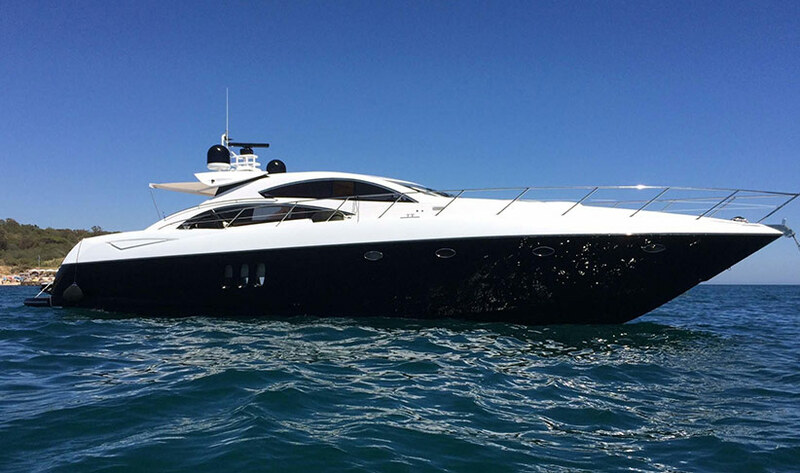 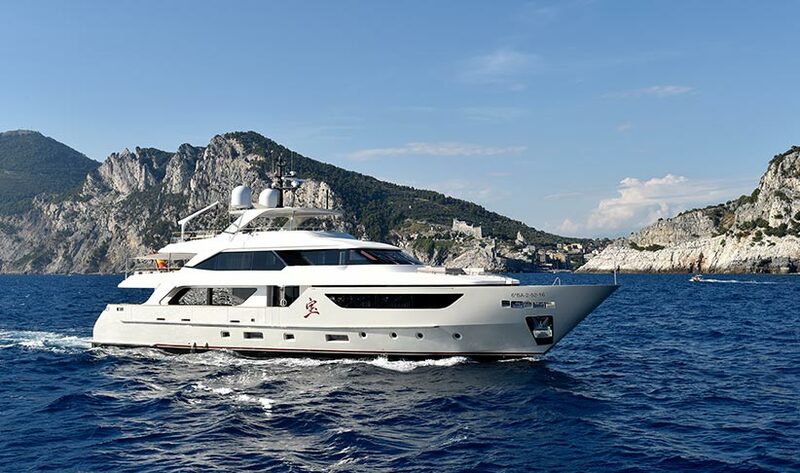 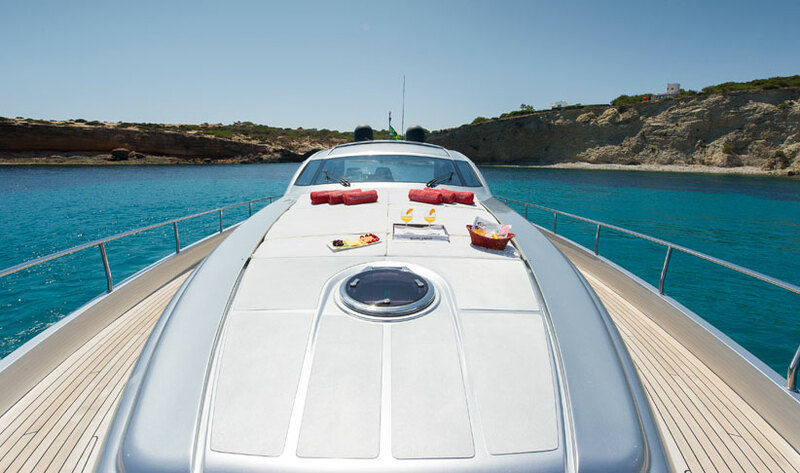 Well maintained and equipped, this modern, contemporary yacht is built for comfort and speed. 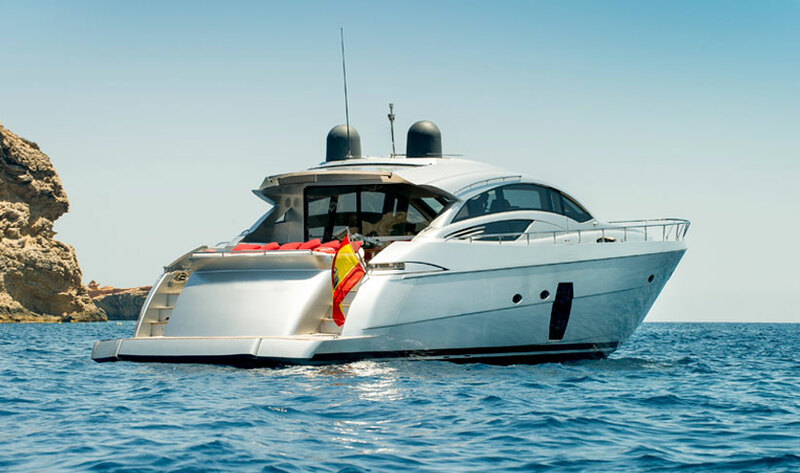 Capable of 48 knots and comes equipped with a Yamaha Waverunner and watersports equipment. 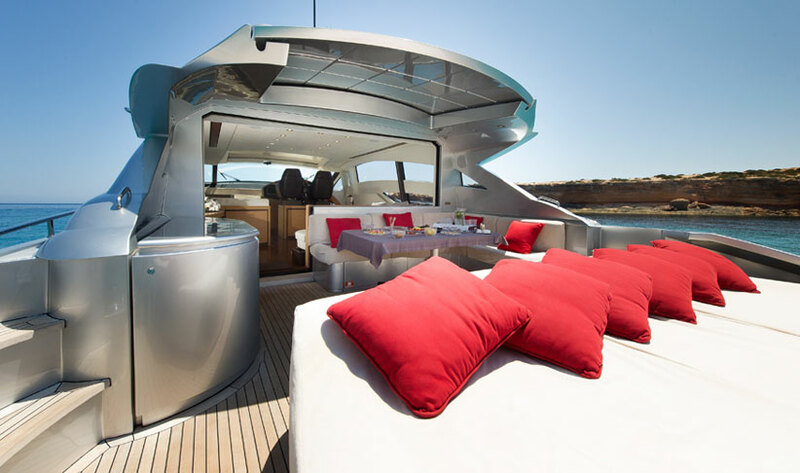 She is a three cabin three head boat that offers accommodation for 2 crew in comfort. 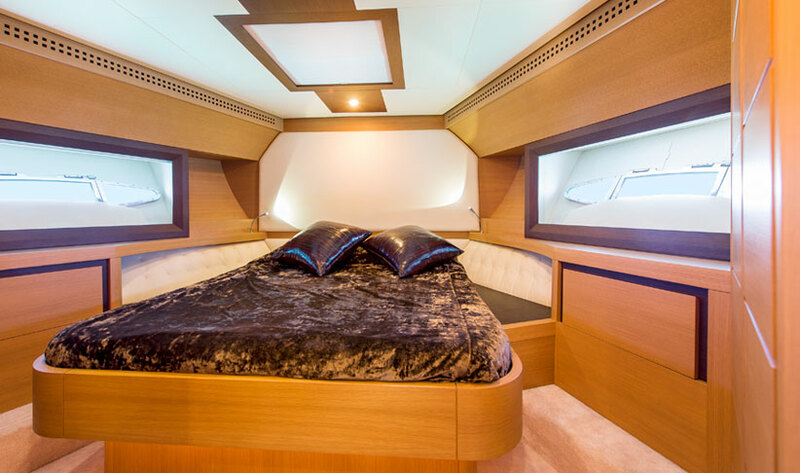 The contemporary interior of the yacht is classic Pershing with the clever use of neutral colours and light oak timber throughout, a full beam master cabin amidships is huge and thanks to the large hull windows either side flood this cabin with plenty of natural light. 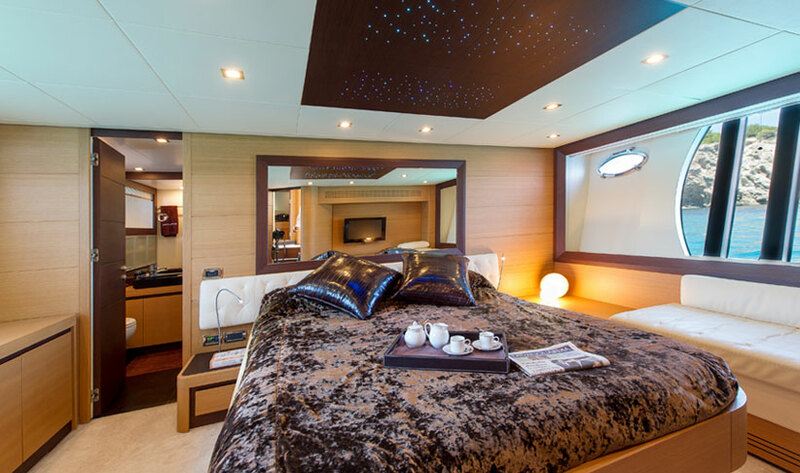 The VIP cabin is forward with an large ensuite to port. 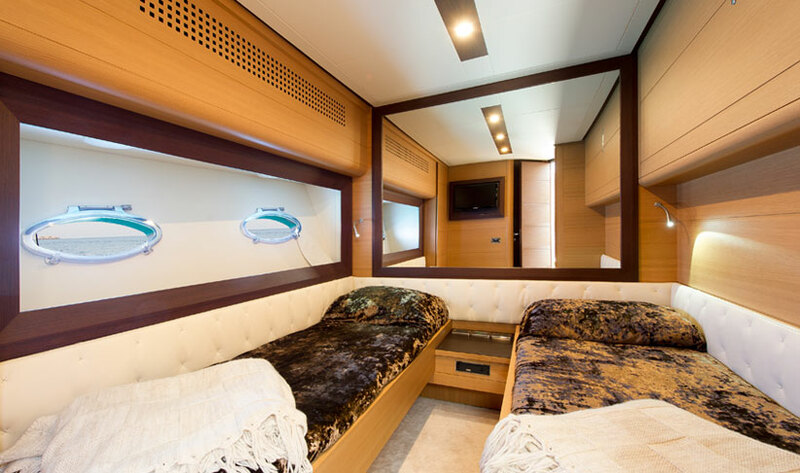 The third cabin is a twin also with its own ensuite which doubles as the day head. 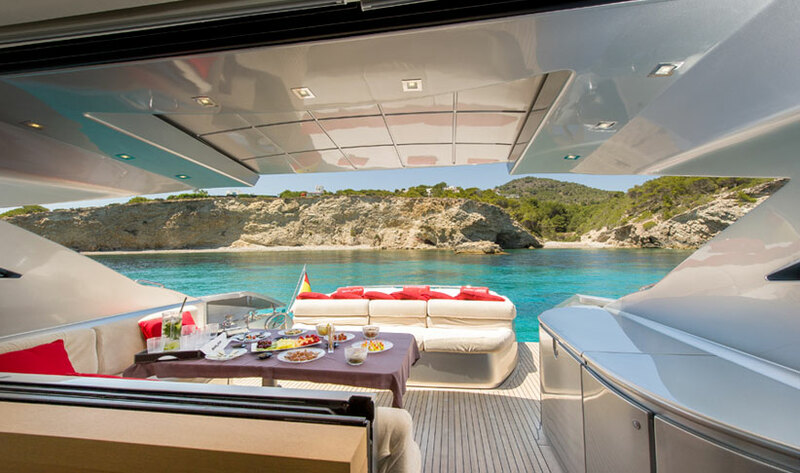 The open plan saloon is surrounded by the large side windows at all points of the compass which creates fantastic visibility for all guests at all time. 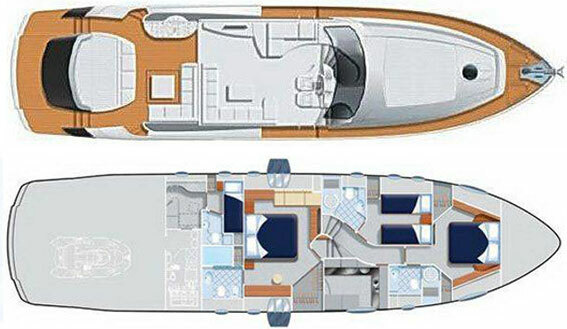 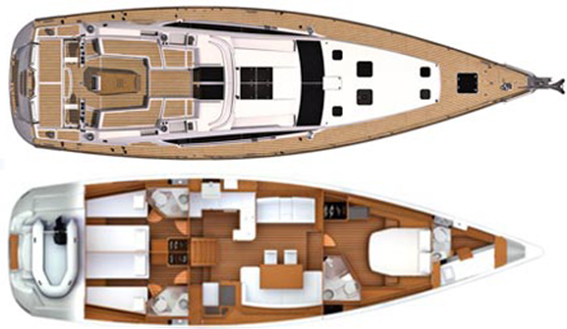 One of the boat's unique features is the glass window and saloon door that separate the saloon from the cockpit can be fully retracted into the floor of the boat. 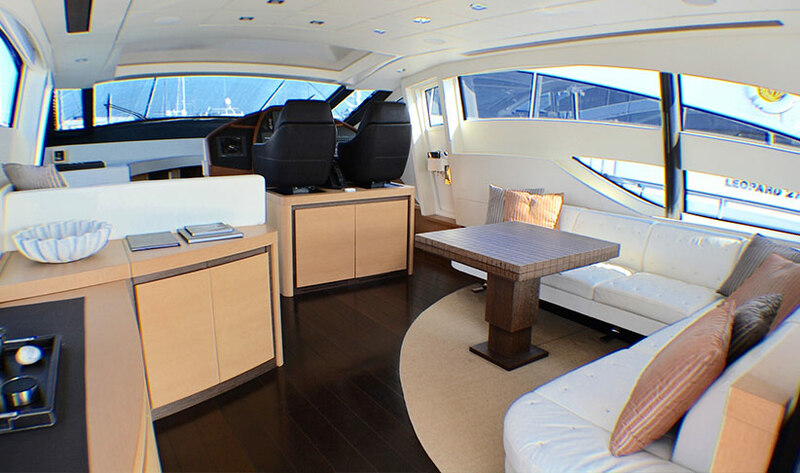 This clever design allows for the cockpit and saloon to flow into one great space for day or evening entertaining.